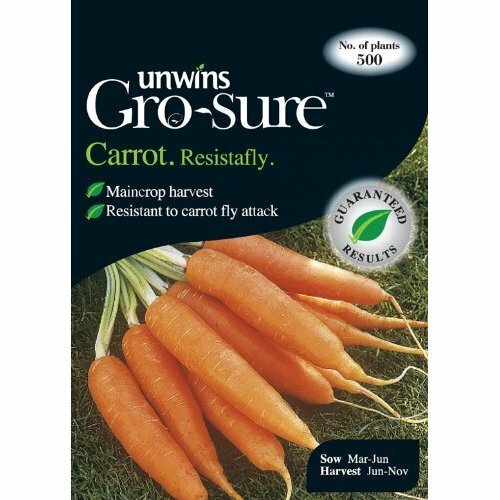 Pack of approx 1500 seeds for sowing from February - June. 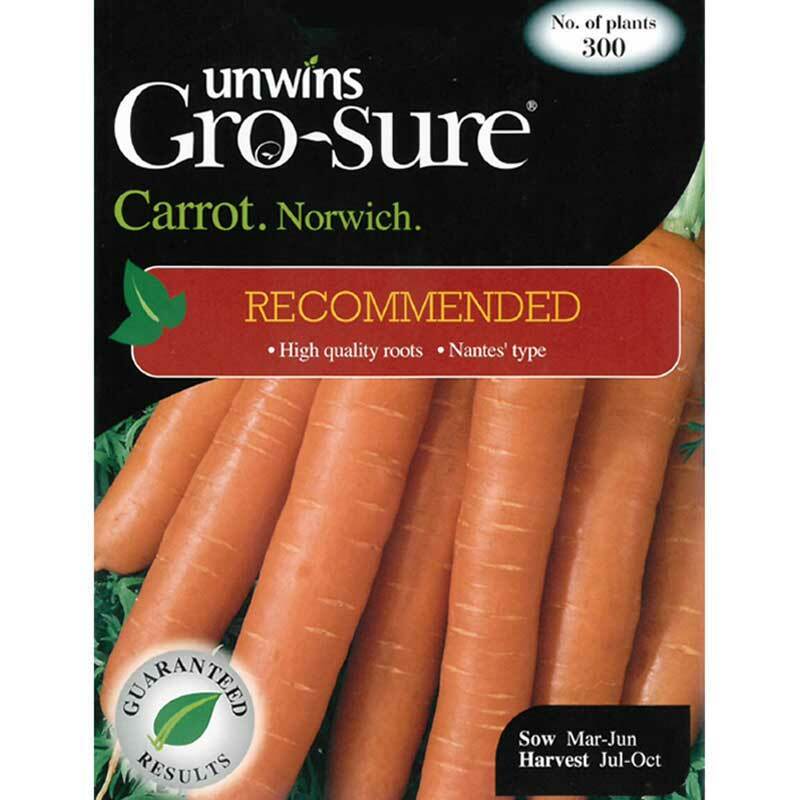 If your soil is heavy, stony or shallow, this is a suitable variety. 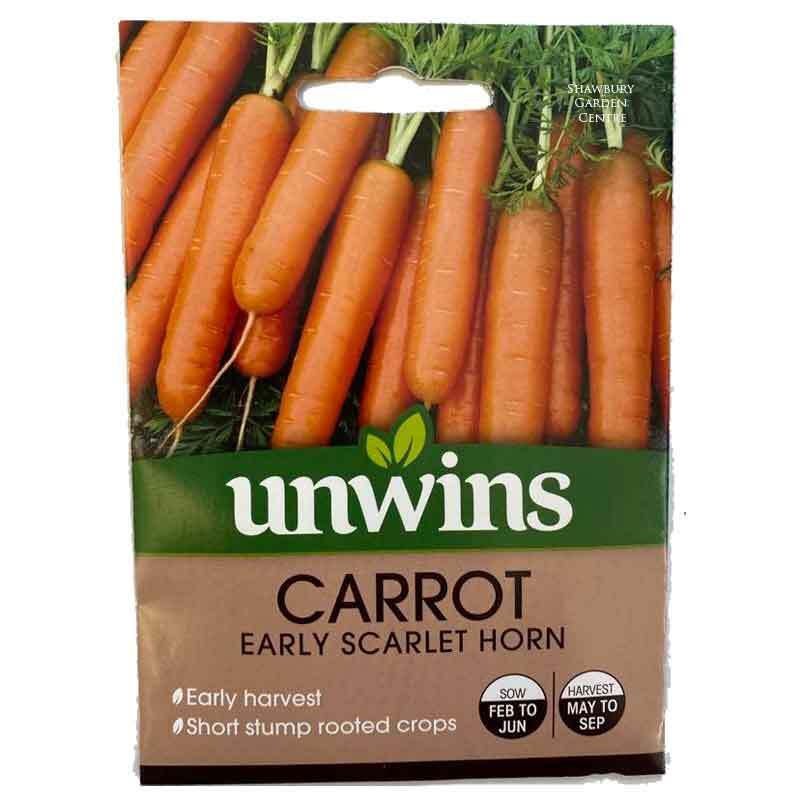 Early Scarlet Horn is a short, stump rooted carrot which does well in places where longer rooted varieties would not succeed. 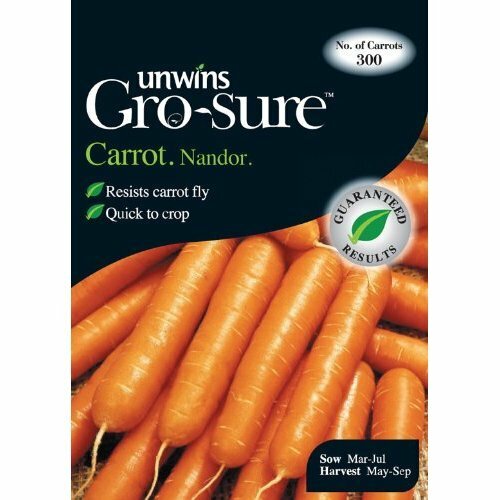 Great for producing very early crops. 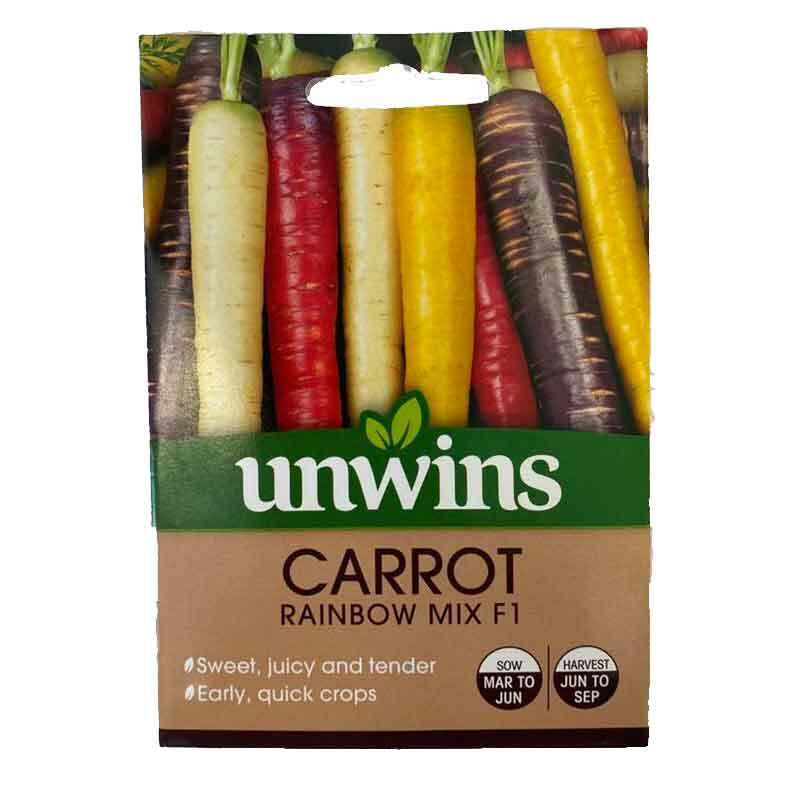 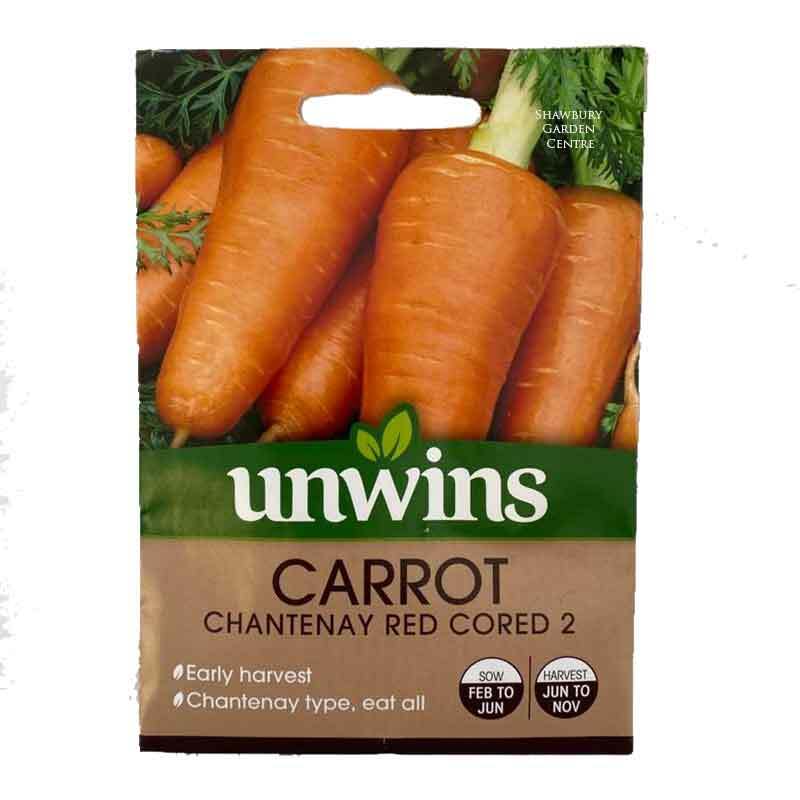 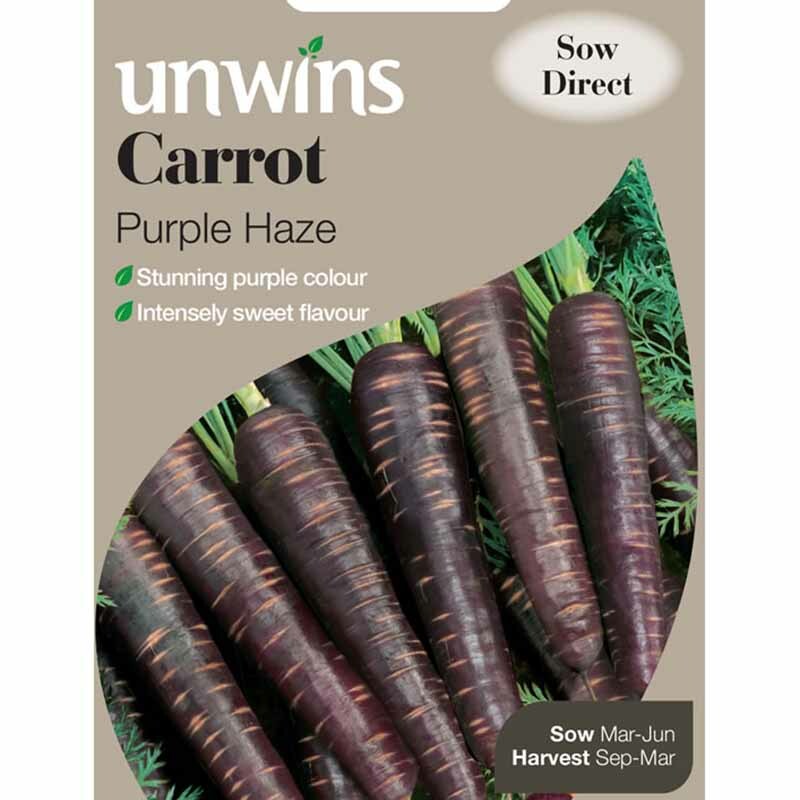 If you would like further information about Unwins 'Early Scarlet Horn' Carrot Seeds, please contact our garden centre at Shawbury just outside Shrewsbury in Shropshire, by calling 01939 251315 or emailing.